Unreal Lawns supply and install artificial grass in Ashton and the north west of England. We serve domestic and commercial customers in the area, with products suitable for a wide range of applications from outdoor spaces and gardens, to event areas, exhibition space and more. See below for some examples of projects we've carried out in the Ashton area. A customer from Ashton-Under-Lyne came to us with a half completed garden. 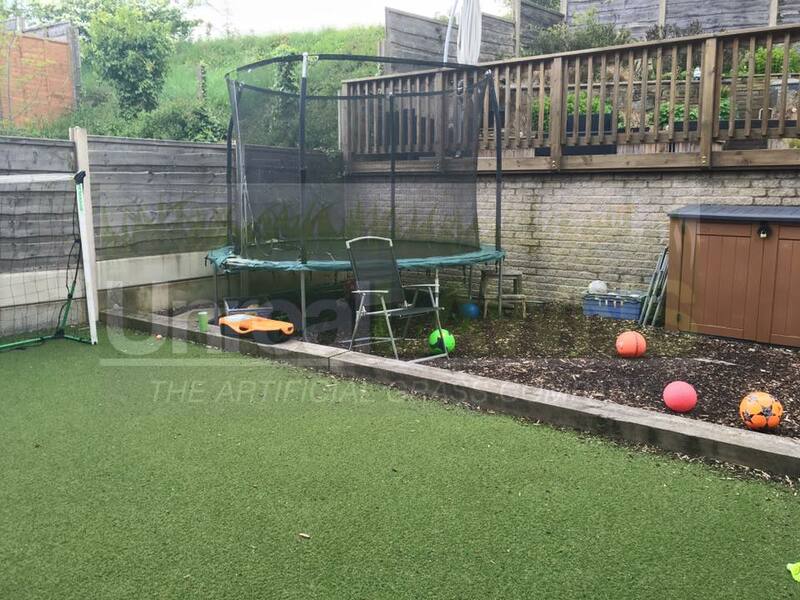 Part of the garden had previously been fitted with artificial grass by another company, but they wanted the garden space to be expanded to accommodate the growing number of footballs! Unreal Lawns expanded the garden by removing the raised flower bed area, and installing our Luxury 35mm artificial grass throughout the garden. The result was a much larger area for the kids to play football in. As you can see in the images, and the review left by the customer, the finished project was a job well done. Unreal Lawns installed artificial grass for a customer in Ashton-Under-Lyne who wanted a tidier and more easily maintained garden. 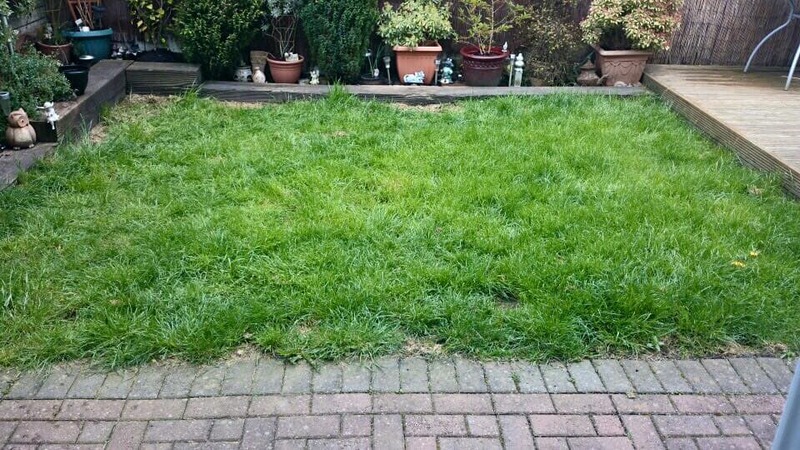 The existing real grass lawn had become scruffy and unmanaged, with the homeowners fed up of having to spend time maintaining what is such a small lawn. The installation of artificial grass has led to a much neater and tidier looking space, and most importantly – happy customers who no longer have to maintain the lawn.